If you’ve recently checked your credit score and was horrified at what you found, don’t despair. Improving your credit is simple. It requires patience, due diligence and attention to detail. If you’ve tried to get a credit card or apply for a loan and been denied because of your credit score, you need to raise it. Not having a good credit score will affect your ability to get a mortgage, apply for a car loan and even find a job. Many employers look at credit scores and landlords often use the credit score to determine if you’re going to be a good renter. Your credit report is what determines your credit score. The report lists all the lines of credit you’ve ever had. It details any issues you’ve had, including late payments, defaults, bankruptcy and more. 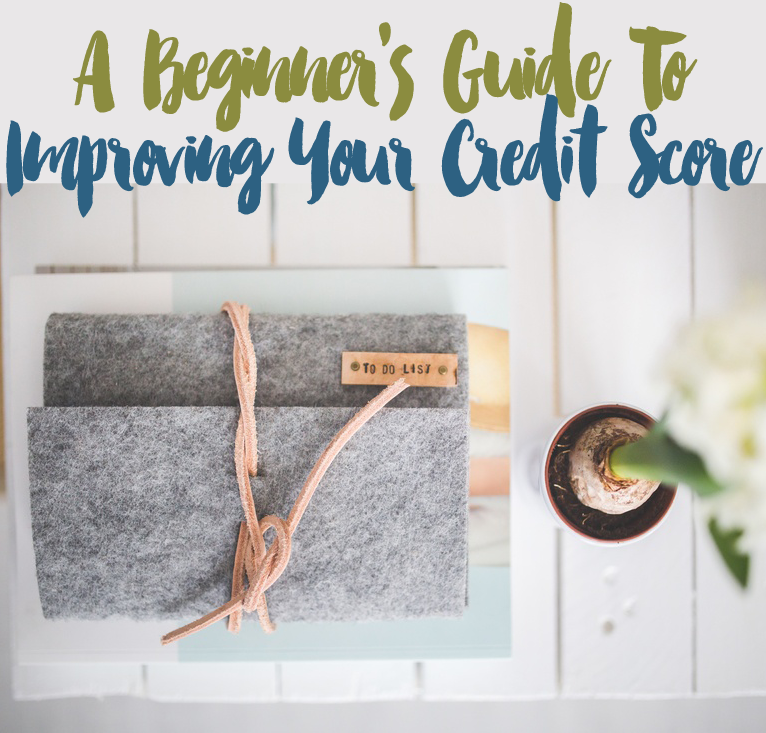 Basically, your credit report is like a report card for your finances. You can’t fix your credit score without knowing what’s dragging it down. Do you have a bill that went to collections? Do you have a credit card you forgot to make a payment on? Are you current on all your debts? If there’s something that’s incorrect, let the credit bureau know. They can handle any disputes that you have. It might take some work to get it off your report, but it’ll be worth it. Sometimes these are honest mistakes, sometimes it might indicate that your identity has been stolen. You can check your credit report once a year for free from each of the three reporting bureaus – TransUnion, Experian and Equifax. Set a reminder in your calendar to check it every four months. Making your payments on time is a huge part of having a good credit score. Creditors need to see that you are able to pay back your debt on time. It doesn’t matter if you carry a balance or not – just remember to make those payments. Setting them on autopay can be a great way to ensure your payments always go through, even if you forget. However, you don’t want to carry a huge balance. One factor that determines your credit score is your credit utilization percentage. That means that if you have a $5,000 balance and your total credit limit is $10,000, your credit utilization is 50%. Stick to 20% or less to ensure that your credit score doesn’t suffer. You can also ask to have your credit limit raised, which will also lower your credit utilization number. If you don’t have any lines of credit, open one. It might be hard to get started, so a secured credit card can be a great gateway to a line of credit. Even if you don’t believe in having a credit card, a credit score is something that most people will need at some point. Of course, having a credit card does no good if you’re missing payments and carrying a balance, or if you’re spending too much each month on your credit limit. To keep your credit healthy, pay off your bill entirely each month and do so on time. Only use about 30% of your credit line (so, $300 of $1,000)- which means that you should not max it out each month. Pace yourself on opening new cards, and do so mindfully. Sometimes opening new accounts frequently can negatively impact your report. Try not to open too many if your focus is on improving your credit score. Keep one card, and keep it paid off within your credit limits, and you should be able to turn around your score bit by bit! Thank you for reminding me I need to check my credit report! I set up my first secured credit card this past year and I’ve been trying to remember to use it more to help with my credit score, even though I hardly even think about using a credit card. It’s just not in my nature. But I know it’s important. One thing I do to boost my score is make a payment on my card before the bill comes. Even though I have a bunch of cards, I have been able to bump my score over 800. The other thing I did for my son was I put him on one of my cards as an authorized user. He used it a couple times and it helped his score a bunch. We just took him off the card and we are going to see how it affects his score now. It’s a card I had for a long time. I have a love-hate relationship with credit scores. 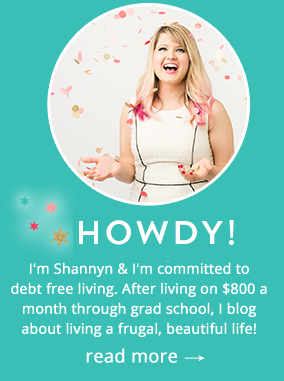 On the one hand, it’s a measure of how you’re doing; on the other hand, it forces you to be in debt! Personally, I don’t have a credit card (and never have), and I hope I can keep my credit up without changing that!